and matte shadows can be very hard to work with. Sadly, I was not blown away by these four. Their colour description and image online was quite misleading, which resulted in both browns being very similar. Eggplant looked more burgundy on Revlon's site, and Petal did not seem to be this shiny. I have been using both Chocolate and Cocoa as brow powder, which seem to work quite nice. Eggplant comes off as a sheer plum when blended out on the lid, and petal doesn't have much pigmentation. The only formula I really don't like at all is petal, since it is very, powdery (I cleaned off the palette for the picture). I do have to agree with most of the other reviews, which state that these shadows are generally very dry. 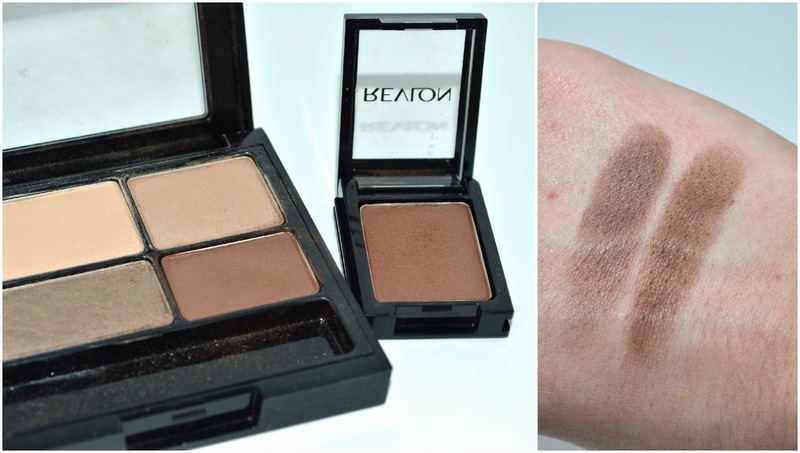 Much like the palette mentioned below, Revlon shadows don't pack much of a punch and they can be challenging to apply. I knew this formula was reminiscent of another set of shadows that I already owned. On the left, you can see the darkest brown from the Colorstay palette in 500 Addictive compared to the Colorstay Shadowlink in Chocolate. The formula is practically identical, and the palette shade is just a stitch darker than Chocolate. 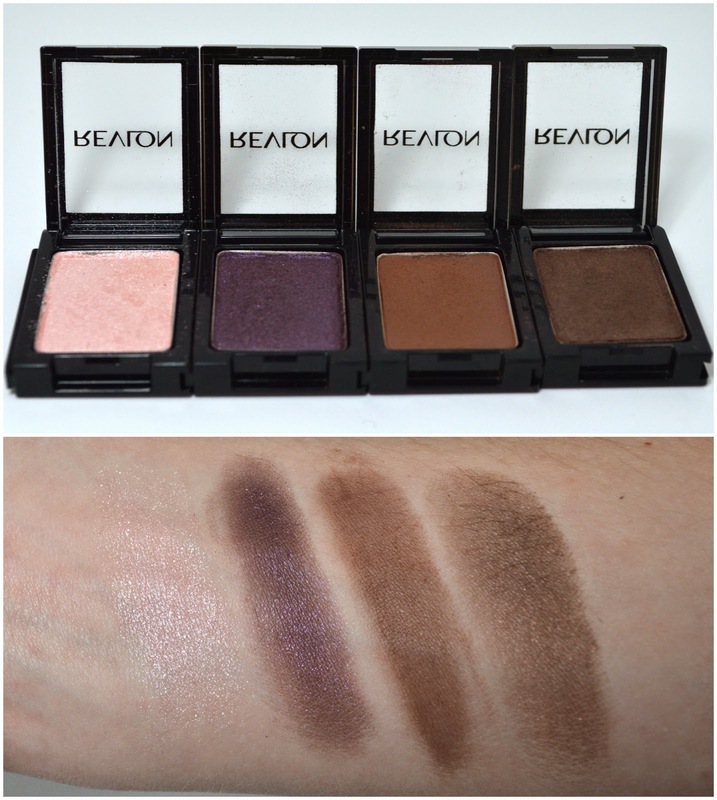 These were swatched on bare skin and would be more vibrant when applied over a shadow primer. Overall, I absolutely adore this concept. I am a huge fan of miniature makeup products, and these eyeshadows definitely satisfy those needs. Their small compacts (1x1.3 inches) are good quality and I love how easily they can be thrown into a small makeup bag for travel. They average at around $3-$4 each, depending on where you purchase them and if they are on sale. Here is one of the campaign images below, showing some of the other colour options. Revlon provided me with this image. The shades appear brighter and more wavy in the image than they do in real life. 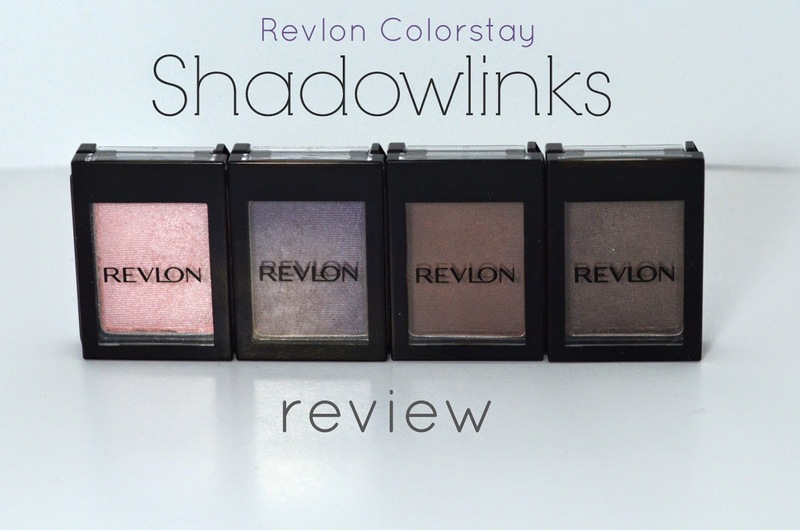 I'm really hoping to see more Shadowlink collections in the future, and an updated formula to go along with some new shades. This is such an exciting step for drugstore makeup since single colour options aren't readily available. Keep on going, Revlon!